The USTA and its charitable entity, the USTA Foundation contributed to the National Park Foundation, the official charity of America’s national parks, to support the 2016 White House Easter Egg Roll at President’s Park on the South Lawn of the White House. 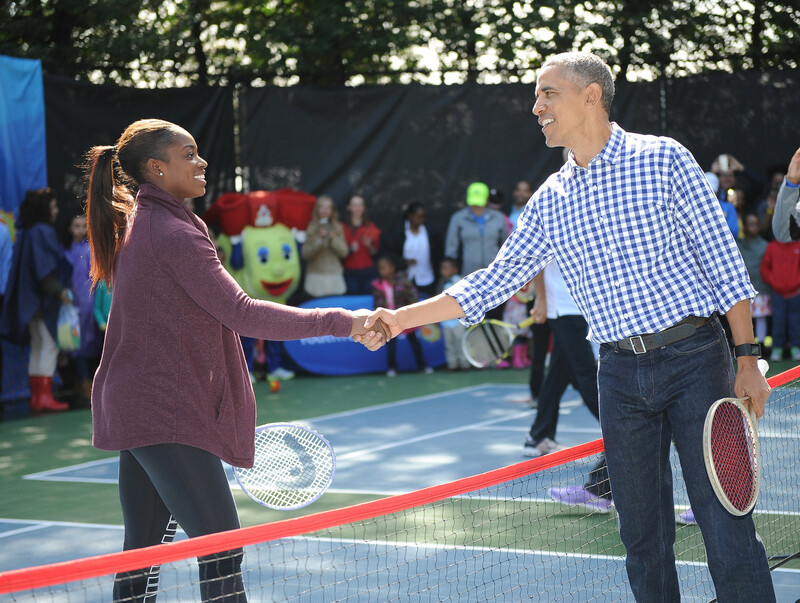 Honoring the final Easter Egg Roll of the Obama Administration, this year’s theme is “Let’s Celebrate.” This is the seventh consecutive year that the USTA and the USTA Foundation has been involved in the annual event. Celebrating this year’s White House Easter Egg Roll theme, “Let’s Celebrate” the USTA offered families and kids of all ages and skill levels to try tennis in support of the First Lady’s initiative to get kids active. Current WTA tennis players Sloane Stephens and Shelby Rogers participated in the event along with former ATP player James Blake.